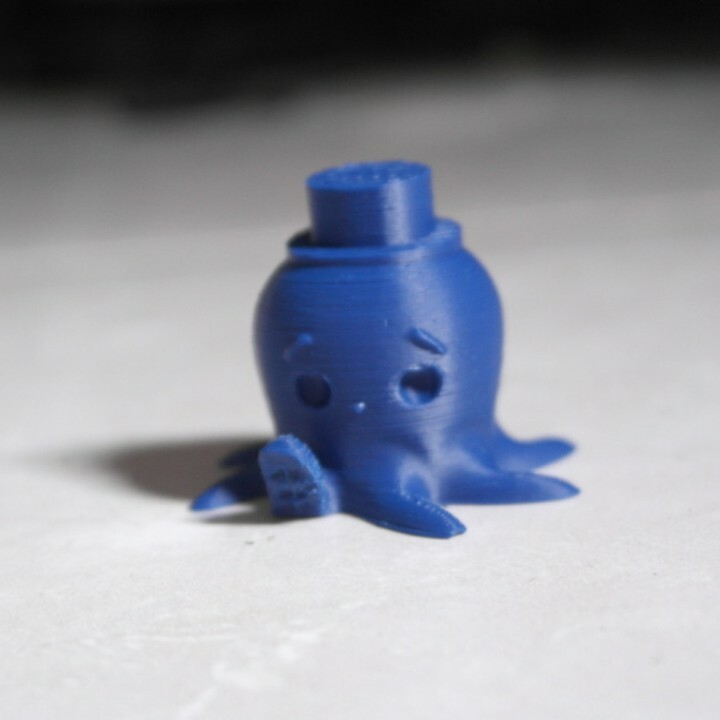 This octopus with top hat is a remix of a makerbot's model that was posted in thingiverse. 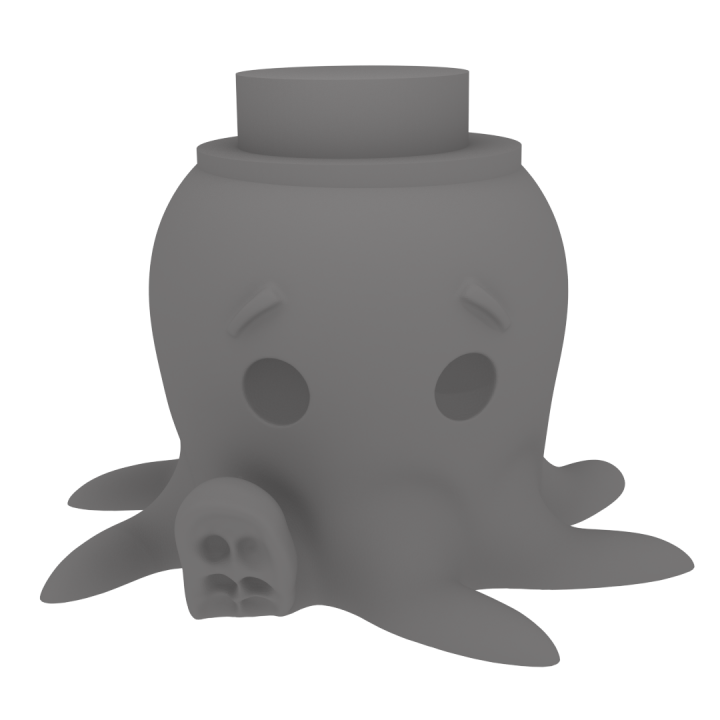 This model can be easily printed without support. Print at 0.2 mm layer height, with 10% infill. 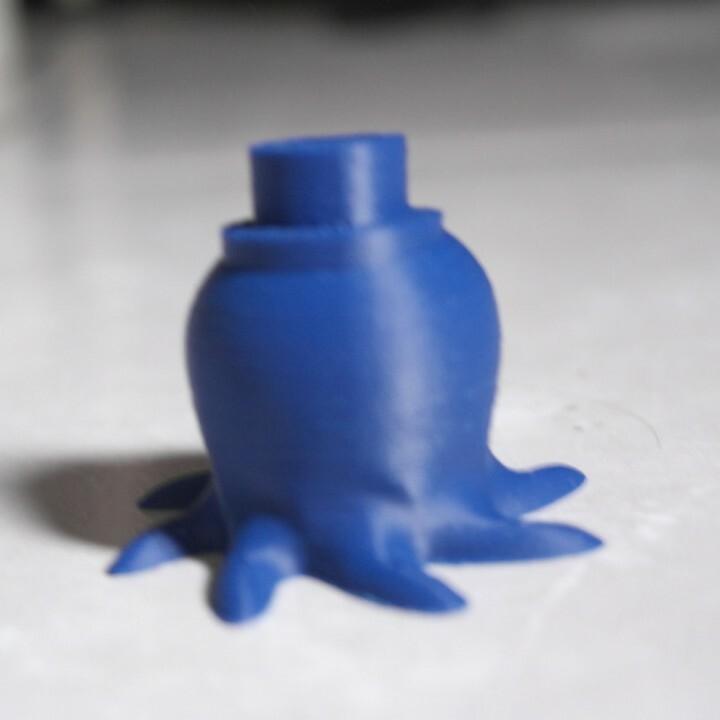 This uses 41 g of filament and takes 6 hours and 9 minutes.